A good sized, wooden dairy bowl. This is quite a large bowl, but it is relatively shallow, and it would have been made as a cream settling bowl for use in the dairy. It has been turned but there are also marks on the exterior where you can see the wood has been cut before turning. 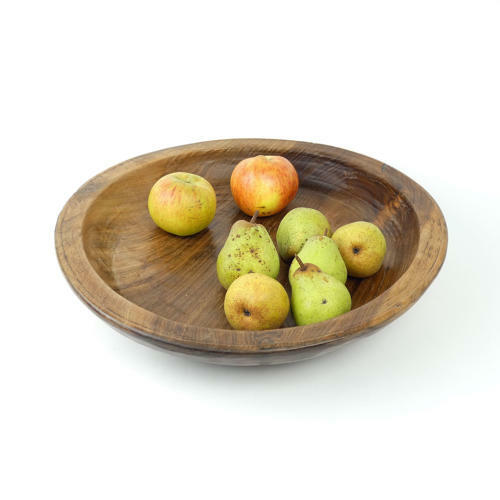 The bowl is in excellent condition and the wood has a very beautiful colour and patination. It dates from c.1860.